Takaful Emarat CEO Fadi Hindi (left), with executive board member and managing director Mohammad Al Hawari. Takaful Emarat's new Sheikh Zayed Road headquarters in Dubai was a hive of activity on the day that Zawya arrived to interview new chief executive Fadi Hindi last month. The building's lift lobby was filled with blue and orange balloons, each colour representing one of the company’s two new brands, tlife and tinsure. A ribbon-cutting event was due to take place later that evening, when a huge new 't' representing parent brand Takaful Emarat was illuminated to attract the attention of passing cars. Meanwhile, Hindi, who was appointed in March, was trying to link up two, huge cylindrical screens - formed from dozens of individual panels - that are a feature of the company's new customer reception area. "This was engineered over the past three months," Hindi said of the screens. "It got so complicated, the actual manufacturer flew in from China to figure out how to do this thing." The new offices and the rebranding are all part of a new chapter in the company's history following the acquisition of Al Hilal Takaful - the Islamic insurance unit of Abu Dhabi-based Al Hilal Bank. The deal, for an undisclosed sum, was originally announced in December but is still awaiting regulatory approval. "It's pretty much done but we just require the final signature. We're expecting that any time now," Hindi said. A new customer contact centre, new websites in English and Arabic, a training suite and an open-plan office filled with screens that will display real-time company data are all evidence of the investment being made to transform the company's business model. 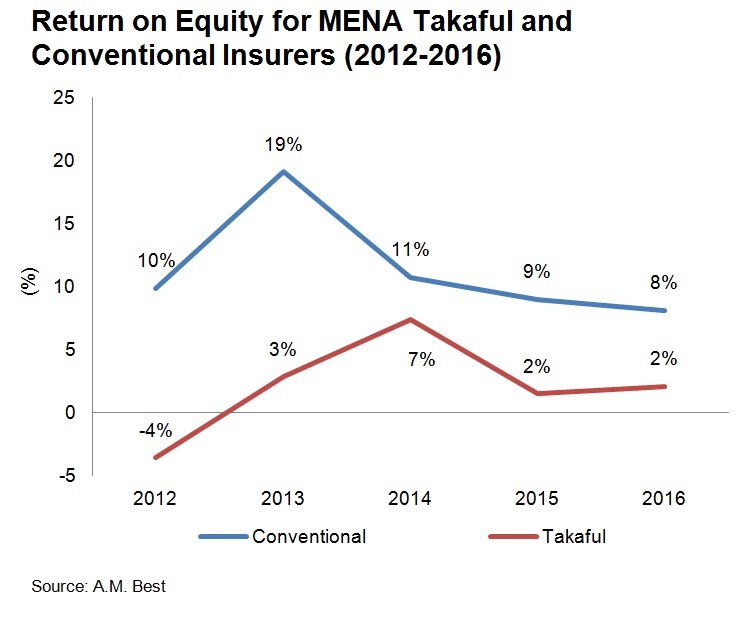 In essence, Takaful Emarat is attempting to broaden its scope – from providing purely Islamic life and medical insurance policies, to becoming a more complete insurance provider, with the acquisition of Al Hilal Takaful bringing a general licence and allowing it to offer buildings, marine, auto and other forms of insurance. The firm is also looking for higher-value relationships by engaging more directly with customers, as opposed to primarily selling via brokers and online aggregator sites such as Bayzat and Souqalmal. Hindi said that many customers can't currently differentiate between the firm and other takaful operators. This is understandable. A report by Miliman states that there are 30 conventional and Islamic firms listed on capital markets in the United Arab Emirates, and another 29 privately-owned companies. Takaful providers are a relatively small part of this mix. The Miliman report tracked the 2017 results of the 30 listed insurance firms and found that takaful companies have a 15 percent market share, declaring combined gross written premiums of 3.2 billion UAE dirhams ($871.34 million), compared to 18.3 billion dirhams for conventional insurers. During the interview, Takaful Emarat's executive board member and managing director Mohammad Al Hawari said the company is "really trying to differentiate ourselves" from other providers. "We need to create a separate market altogether - a place where no other company is competing, which is what we're trying to do. We're trying to be the... this word is so overused but we're really trying to disrupt". This is where Hindi comes in. Although he has worked in financial institutions, including a five-year spell at National Bank of Abu Dhabi, he is essentially from a technology background. His most recent role before joining the company was chief operating officer and chief innovation officer for Dubai Electricity and Water Authority’s Innovation and the Future division, and before that he worked as a consultant to the Dubai Government's Smart Dubai office. "They were looking for the next CEO to have a heavy tech background, and somebody not from industry," Hindi explained. When asked whether this might be a disadvantage, he said: "It depends on which way you look at it. Most of the modern research says that the biggest disruption comes from people not from industry, rather than from people within." Al Hawari said that the aim is to develop technology that makes insurance more convenient for customers - via phone apps, for instance - to provide insurance on demand when people make purchases. "Today, the bar is so low. Nobody is connected to the customer from an insurance perspective, and that is what we're trying to get to - without them having to come to the branch, without them having to come to an agent." Once the Al Hilal Takaful merger completes, the company, in which Abu Dhabi-based private equity firm Tabarak Investment holds a 49.97 percent stake, also plans to offer a car insurance service based on telematics – a combination of telecommunications technology such as GPS positioning systems with an in-car IT diagnostics system. Al Hawari says the technology will allow customers who only use a car for a few months of the year, or who only cover a minimal amount of kilometres, to pay less for insurance. Hindi adds that although the system it is planning to use - based on a box placed in the car - can provide data on driving patterns and distance covered, this will not be location-specific, so individual journeys would not be tracked. "We don't want to be intrusive. I think every customer has the right to their privacy and confidentiality. We just want to give a better service." Last week, i-Insured, a company owned by Qatar Insurance Group, said that it would offer a 'Pay How You Drive' service offering discounts on insurance premiums for UAE customers that download an app which monitors driver behaviour. It argued that safe drivers could earn discounts of up to 30 percent on typical insurance premiums. Hindi said that it is looking to make better use of data and artificial intelligence across the business. The new websites all feature both English and Arabic chatbots, as well as both English and Arabic community managers, and it has an affiliate agreement with Stanford University where it will work with academics and researchers on the use of artificial intelligence in insurance. "We've been at this for three months now," he said. "Why are we doing this? We're doing it because we want to approach data and A.I. in the right way. If you can go and get the best research you can get your hands on, be it at Stanford or Oxford University in the UK or wherever... they are going to have data sets from everywhere and they are going to discover patterns - because at the end it's all about patterns and pattern-matching - that could be of benefit to us," Hindi said. "And being affiliated with them and sponging off that knowledge is just going to speed up our ability to offer those products and services," he added. The firm is hoping that having its own proprietary data will give it an edge in terms of responsiveness and help it to build 'stickiness' with clients in what has traditionally been a price-driven, low-margin business. It is clear margins need to improve - both at the firm and across the UAE’s takaful sector. The company had undergone a restructuring last year, and it had managed to reduce its accumulated losses by about 5 million UAE dirhams to 6.3 million dirhams by year-end after declaring a net profit to shareholders of 18.8 million dirhams. But accumulated losses rose again by the end of March this year to 16.8 million dirhams after it paid out a dividend to shareholders of 12.4 million dirhams. Insurance consultancy AM Best published a report into the UAE’s takaful sector last month stating that operators had struggled to gain a firm foothold into the wider insurance market. It said that Islamic insurance providers had a 6 percent share of the overall UAE market at the end of 2016, while Islamic banks had a 34 percent share of their market. With conventional insurance, the risk being insured against is transferred from policyholder to the insurance company, whereas with takaful risk is primarily pooled between policyholders, who are then meant to gain a share in any surpluses. However, AM Best said that few takaful operators in the UAE have distributed surpluses. In response to questions emailed by Zawya following the report’s publication, Salman Siddiqui, AM Best’s associate director of analytics, explained that this was because “there are no surpluses to distribute". He cited underwriting losses incurred by many firms and the high 'wakala', or agency, fees charged by the companies to manage policyholders' funds as reasons for this. Siddiqui said that takaful operators could boost profitability by improving their distribution networks and relying less on brokers and agents to source new business. "Additionally, tailoring products – particularly life/family products – to the specific needs of their customers will allow for better brand development," he said. Takaful Emarat seems to be addressing both of these in its strategy, but the results will depend on execution. The new headquarters building with its coffee bar and circular screens will have to pay for itself in some way. Hindi is confident that it will. "If you look at our expenses over the past years, we were probably spending as much in my opinion, if not more, than we are going to spend in this building. We had three floors across Deira City centre, it was expensive, and it was highly fragmented, which I hate," he said. "Upon my joining, the MD had already made his mind up that we need to consolidate everything into one building. I just added my design to it."